Hey guys! Friday after work I got to go out and be MegGoesNomNom at Happy Hour for a bit, instead of just being BabyGoesNomNom’s Mama. Okay, I’m always BGNN’s mama and I love it, but sometimes it is nice to get and do some things sans-toddler as well. A co-worker joined me in checking out Mikette for the first time. 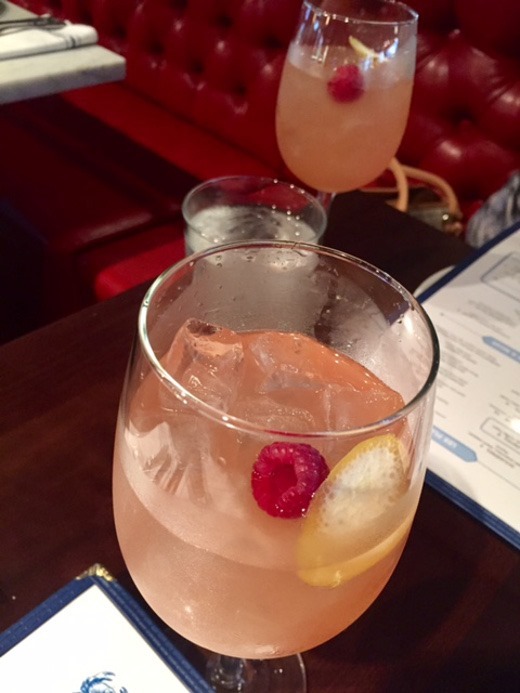 It’s not terribly far from our office, so it made a good happy hour candidate. Mikette is Ann Arbor’s newest French restaurant, opened by the owners of Mani Osteria and Isalita (two my absolute favorite restaurants in town.) 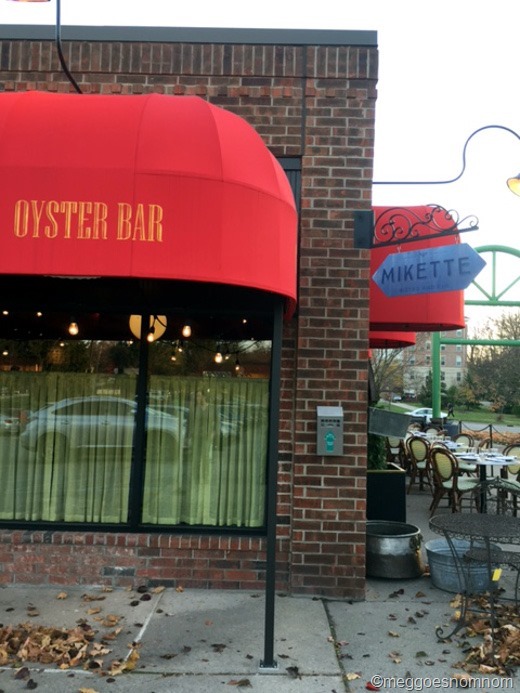 Mikette is located in the space previously occupied by Café Marie at 1759 Plymouth Rd in Ann Arbor, MI. 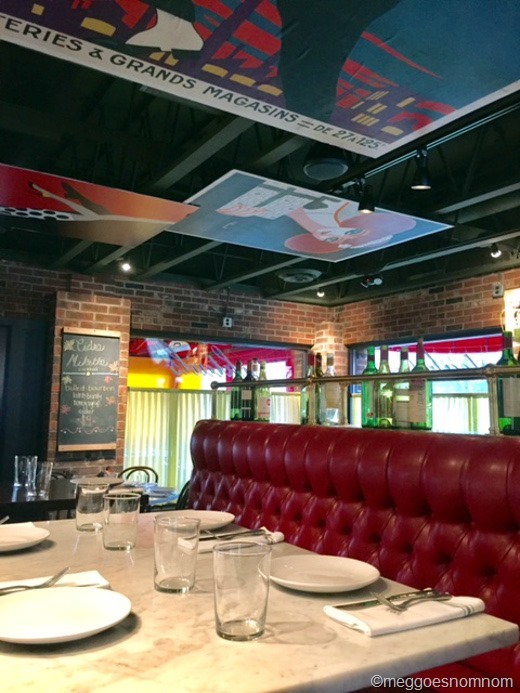 The space has been completely revamped. We got there as soon as they opened (4:30 PM) on Friday, but by the time we left the place was jam packed! The two of us shared a few small plates. Always fun because then you get to taste more. 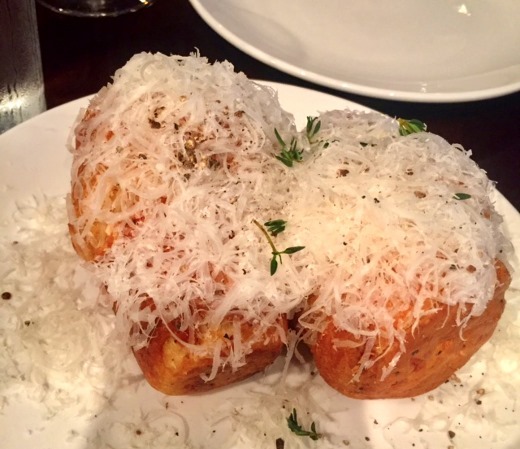 Gougères – parmesan popovers. I haven’t had many of these in my lifetime and these were larger than expected! Even though I’ve been to France, I don’t know a ton about French cuisine. Haha. These were tasty. 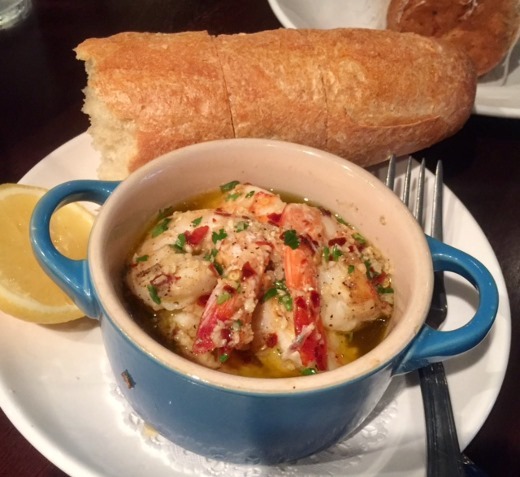 Garlic Shrimp – The savory garlicky aroma of the buttery broth immediately hit you once the server elevated the lid of the adorable Le Creuset dish in which these large, tender shrimp were served. Delicious! And the baguette dipped in the remaining butter? Get outta town! Swoon. 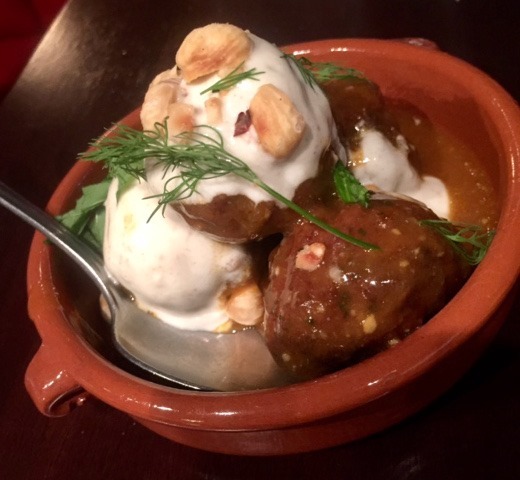 Moroccan Spiced Meatballs – Served with cumin yogurt, dill, mint, and hazelnuts, I found these lamb meatballs to be packed with flavor and I just loved them. My dining companion isn’t a huge fan of lamb so wasn’t wild about them, but I recommend them if you like lamb and/or meatballs. As I sit here and write this post, I am craving these. 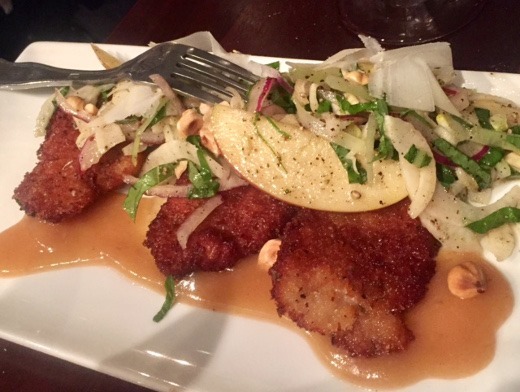 Schnitzel – Pork loin milanese, apple and fennel slaw, hazelnuts.” This one surprised us by being our favorite dish of the night! I couldn’t get over how simultaneously CRISPY yet TENDER these delectable little loin pieces were. Oh, and the sauce? Incredible! Great dish. Overall, I was a big fan of what I was able to try at Mikette. Enough that I’d absolutely love to return and try out more dishes. Several items on the menu caught my eye – oysters, all the fromage, eggplant tagine, beets, kale caesar, scallops ceviche. I want to try it all! Another great addition to Ann Arbor.